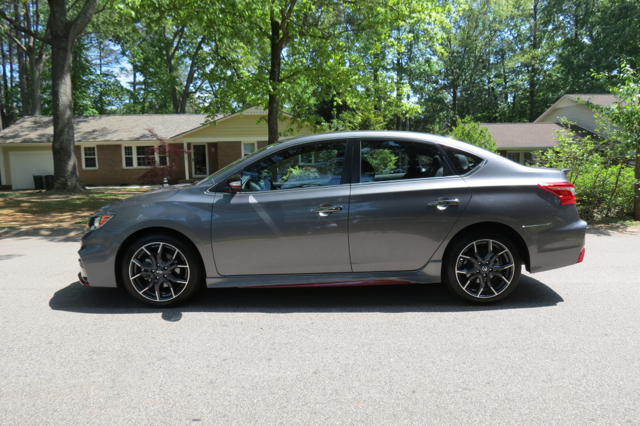 Top-end Sentra model offers NISMO touches, enhanced performance. 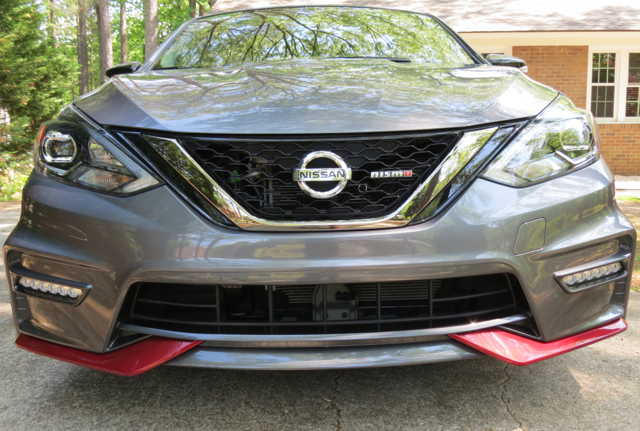 The 2017 Nissan Sentra NISMO offers the look of the brand’s motorsport division, but it falls short of expectations. That doesn’t mean the Sentra NISMO isn’t a fun car, rather the production version is a step-down from the Sentra Concept shown a few years earlier. Indeed, that concept featured a 1.8-liter, turbocharged four-cylinder engine making 240 horsepower and 240 pound-feet of torque according to Road & Track. In addition to its NISMO (NISsanMOtorsports) good looks, the enhanced engine came paired with a six-speed manual gearbox, which sent power to the front wheels by a limited-slip differential. Alas, the larger engine and the limited-slip differential were not assigned to the new model, finally released this year. 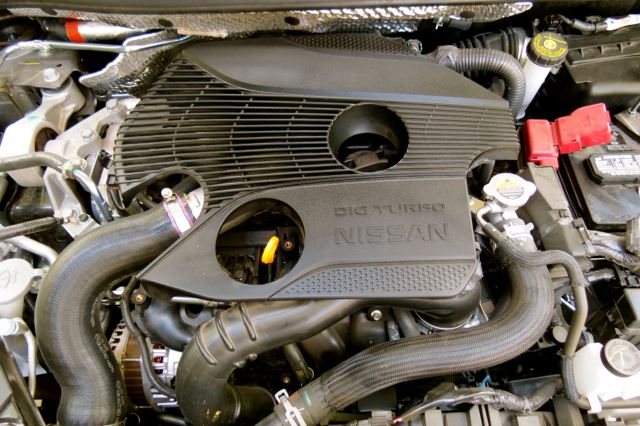 Instead, the engine is the same 1.6-liter turbo four cylinder found in the Sentra SR as well as in the Nissan Juke. Moreover, although the manual gearbox is available, you can also choose a continuously variable transmission. Notably, the CVT when operated in manual mode simulates seven forward shift points. So, how much of a change in performance is the production version from the concept? Try 188 horsepower and 177 pound-feet of torque. That’s a 22-percent drop in horsepower and a 26-percent difference in torque over the concept, representing significant departures certain to disappoint core Nissan enthusiasts. 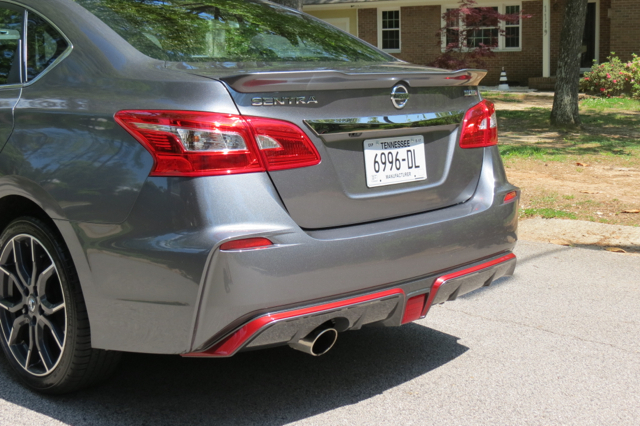 Despite falling short of expectations, the Sentra NISMO has fun factored in. And that’s despite my test model coming equipped with a CVT instead of the manual. Indeed, once spooled up, the turbo delivers a spirited drive with decent on-road acceleration. Although the limited-slip differential would have improved handling through balanced power distribution to the front wheels, even without it present it was manageable. Just expect torque steer to kick in at times, requiring adroit steering on your part. But that feeling can be fun, especially when navigating twisty roads. 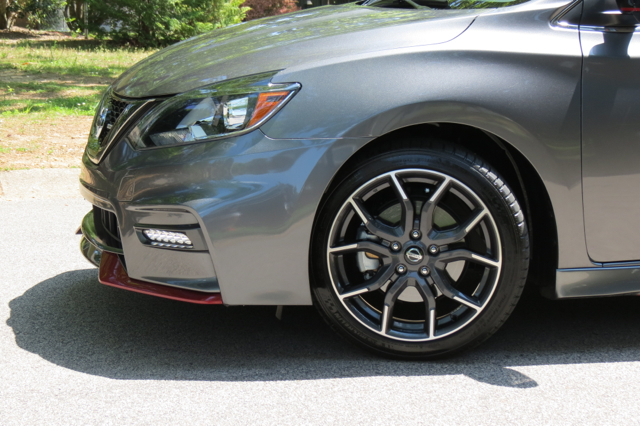 Nissan outfitted the Sentra NISMO with grippy Michelin Pilot Sport all-season tires. You can also upgrade to summer tires. 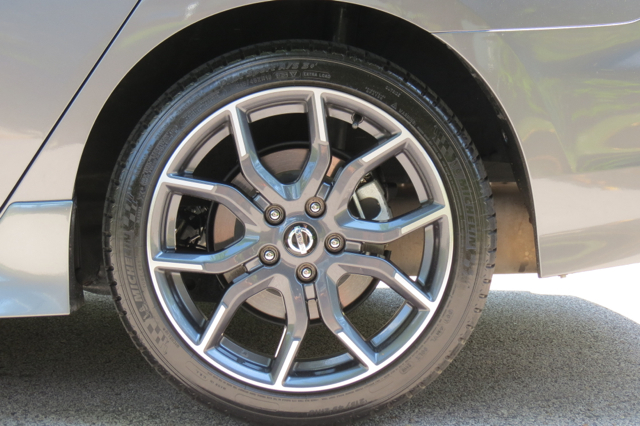 The wheels are nothing short of handsome as they’re dressed in 18-inch NISMO 10-spoke machined-finish aluminum-alloy. Other exterior enhancements include a layered double wing look to the front fascia, a dark chrome grille, and LED daytime running lights. You’ll also find front, side, and rear body panels, and a NISMO rear fascia with an oversized exhaust tip and diffuser-like trim. 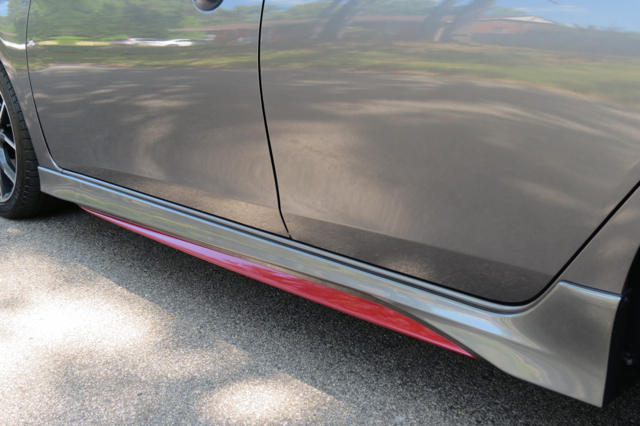 Lastly, this sedan sits 0.4 inches lower to the ground than other Sentra models. Inside, the NISMO look extends to the unique front seats embroidered with the NISMO logo and enhanced by extra bolstering. 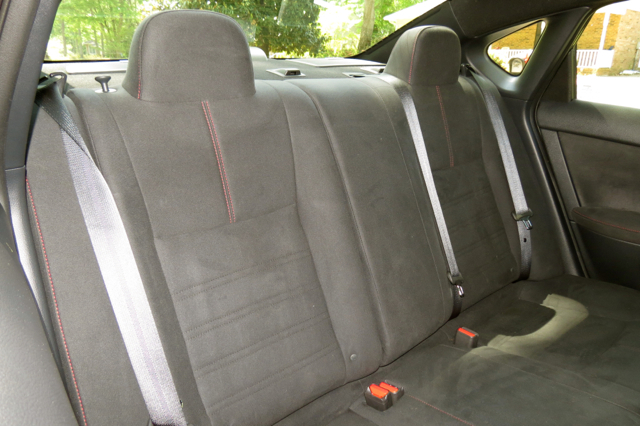 Unique cloth material with red stitching covers the rear seats. 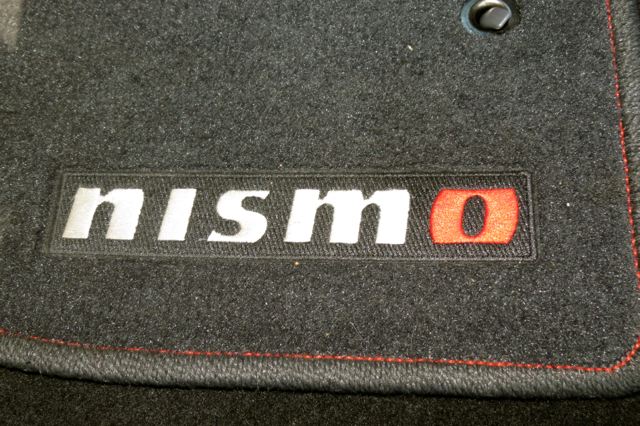 Other NISMO embellishments extend to the push-button start surrounded by a red ring, a leather shift knob, and a special meter cluster with a red tachometer. 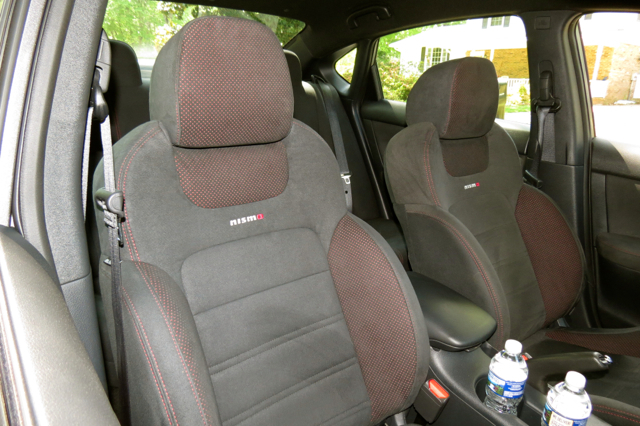 As for the interior color, the choice is clear — charcoal with red accents. That’s because there are no other choices. NISMO carpets and an unusual Alcantara and leather-wrapped steering wheel are among the other features present. You’ll find a long list of standard features in this model too, including keyless entry, a tilt and telescopic steering column, full power accessories, dual-zone climate control, heated front seats, navigation with NissanConnect apps, and a six-speaker Bose audio system. 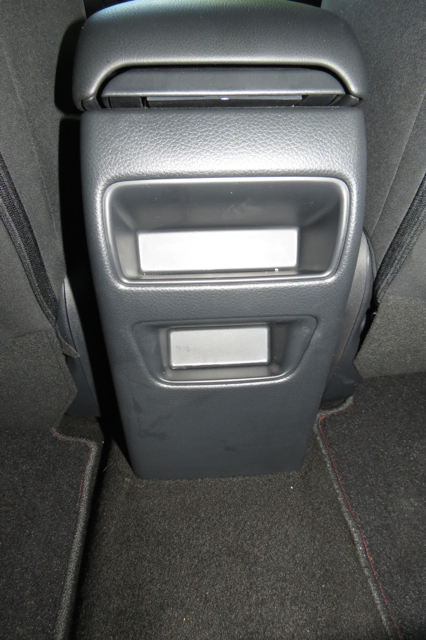 A CD player, USB port, and an auxiliary input jack are also included. Now back to the driving dynamics. If you have the CVT, you’ll notice immediately the pulling sensation common to such transmissions. Nissan tempers that feeling somewhat by adjusting power as you build RPMs. 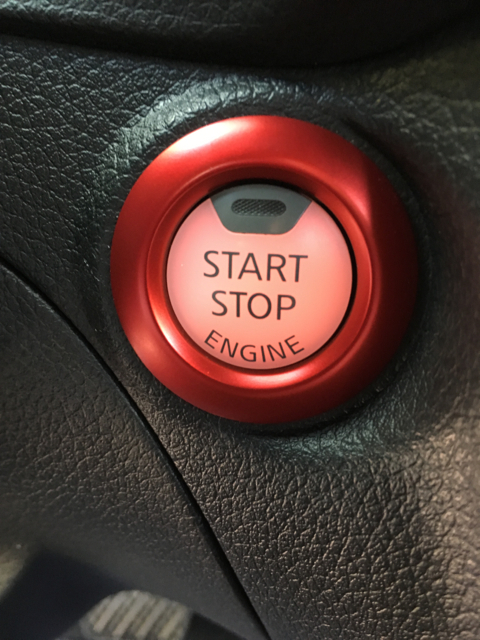 Instead of a steady climb, the RPMs rise and fall — similar to an automatic transmission. The transmission maintains the smoothness of the CVT without the gear hunting of an automatic. 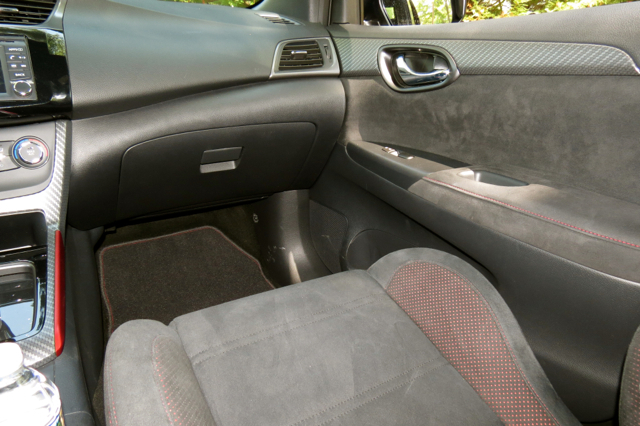 Shift the transmission stick into sport gear and you have seven steps to work with. Here, you’ll gain a measure of control and engagement, but we all know it isn’t the same as a three-pedal workout. Also, there are no paddle shifters to be had. Incidentally, if you choose the manual gearbox expect to have a load of fun. It has been nearly four years, but I had a Juke NISMO equipped with the same engine and the manual, taking it for an excursion through the Appalachian Mountains. The Juke is about 200 pounds lighter than the Sentra, but I would venture that the sedan would provide a similar driving experience. Ease into any curve and you’ll note the adjustments made to the suspension, particularly to the front struts as well as the new rear dampers. 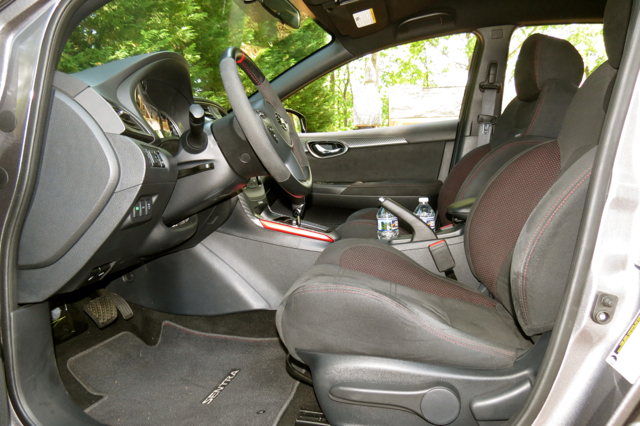 Steering has a certain weightiness and the sedan responds quickly. Oh, to have a manual available for heel-and-toe play! Choose a 2017 Sentra NISMO and you’ll pay $24,990, plus $865 for the destination charge. That’s exactly $3,000 more than the Sentra SR with the same engine and transmission. You should know that whether you choose the CVT or the manual, there is no extra cost involved. Is the $3,000 premium worth your while for this sedan? The NISMO embellishments are enticing and not overdone. The handful of people who cast their eyes on the sedan found its looks impressive. No doubt, NISMO got this one right. That said, investing in the Sentra NISMO means comparing it with the Mazda 3, Honda Civic Si and the Hyundai Elantra turbo. It isn’t in the same performance (or price) league as the Volkswagen GTI or the Subaru WRX, so manage your expectations accordingly. Could Nissan have gone with the concept? Yes, but they did not and we do not know why. 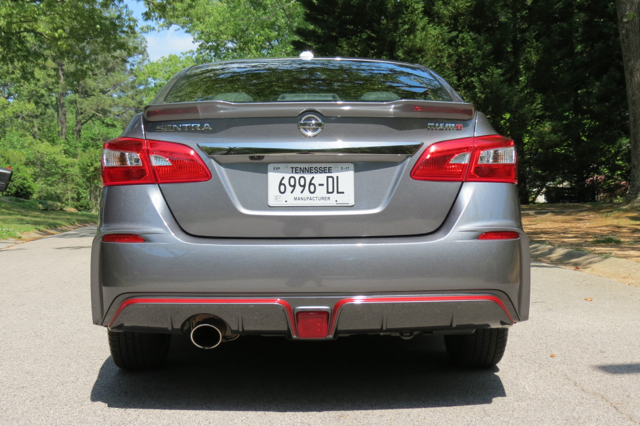 All in all, the Sentra line now includes a pair of beefed-up models. Your dilemma may not be what the competition offers, but on which Sentra is most worthwhile to you. All photos copyright Auto Trends Magazine. All rights reserved.